A great writer is someone who can create well-paced, gripping dialogue. You’re probably thinking, But how does that make them a great writer? Writing dialogue is easy. Dialogue has to be all those things and so much more, and that’s why it’s one of the hardest things to get right in fiction. Let’s dive right into the three biggest errors writers make when it comes to writing dialogue. This is definitely the most common error. You tend to find that writers cram a lot of speech into one paragraph, and then have another character reply to every single part of it. Is that how conversation works in real life? No. So why do it in your writing? It’s such a pain, to try and read a series of speech that is too long and too forced. You’ll usually find unneeded words, and whole sentences that don’t need to be there. It’s just a jumbled mess of fractured conversation that offers the reader nothing beyond a terrible headache. Instead, keep it short and sweet everywhere other than when it’s necessary. You should only ever use long speech at important points in the plot, where the character talking is used as a device to move the plot forward. And even then, the speech should be shortened with input from other characters, otherwise it just gets boring. There’s nothing interesting about reading a book in which all the characters talk the same. You know the type, where they all say the same sorts of things, in the same sort of way, with the exact same intonation and character actions. This leaves you with a book filled with characters that have no depth. Imagine a world where every single person is the same – that’s the type of effect this sort of dialogue writing has. Instead of boring your readers with shallow characters, try making each of them unique in their own personal way. Give them strange quirks in their speech and actions that only they have, and have those reflect the type of person they are – from what makes them smile, right down to their profoundest pain. This goes hand-in-hand with the first notable point, but the difference is, this isn’t so much a case of hugely long and unnecessary dialogue, it’s more a case of an unnecessarily long conversation. These types of scenes tend to drag on for ages, for reasons unknown, because for the most part, the majority of the dialogue is just senseless spiel that doesn’t need to be there. It’s poisonous to try and replicate real-life-length conversations in a full-blown form, and it never leads to anything good. Instead of trying to write out the entire conversation, just stick with focussing on the detailed parts – the parts that matter and move the story forward. If it doesn’t tell you something about the character, or move the plot along, it doesn’t need to be there. If you find that your dialogue suffers from any of the previous pitfalls, don’t panic – just make the necessary adjustments. Follow in the footsteps of those before you, that’s the easiest way to write great fiction. If you look at any traditionally published book, you’ll see that the dialogue is always crisp and progressive, and is never dragged out for any reason (unless maybe to add an element of comedy or sarcasm,) and that’s the way to write your own dialogue. Keep it simple for the most part, and when making it complex, make sure it is still simple. In layman’s terms, that means: don’t include unneeded words, don’t make it jumbled, and definitely don’t drag it out. It’s like anything in this life of writing – you must practice it a thousand times before you’re even close to getting it right. So keep working hard, keep progressing, keep improving, and most of all, never quit through a fear of not being good enough. The world needs your book, you just have to realise that. 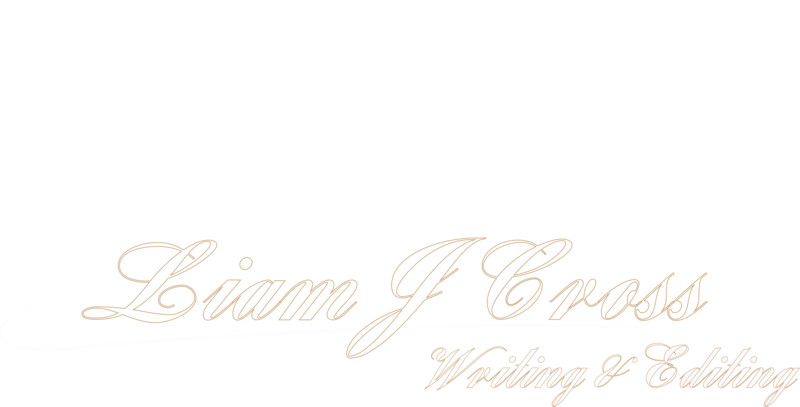 If you have any questions about ghostwriting and editing, and want to learn more about my services, send me an email via the email icon below. Alternatively, you can visit my contact page here.